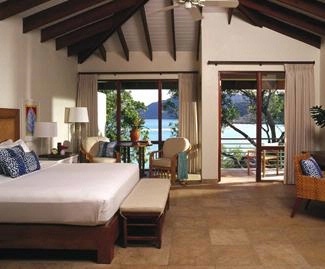 Rosewood Little Dix Bay in Virgin Gorda, B.V.I., will host a Legends Tennis Camp featuring clinics with Luke and Murphy Jensen, courtside seats to see former Grand Slam champions, and a celebratory dinner and auction hosted by Richard Branson, founder of the Virgin Group. The event is scheduled to take place from Dec. 9 to 13, 2012. Offered by Rosewood Little Dix Bay in partnership with Necker Island and Premier Tennis Travel, the Jensen brothers doubles team, who achieved a career-high ranking of number five in the world, will lead three days of hands-on clinics. The camp will also feature a pro tennis exhibition with current and former Grand Slam champions engaged in play at the Rosewood Little Dix Bay. Courtside seats and complimentary drinks and hors d'oeuvres will be included. An "End of the World" dinner party will feature live music, dancing and guest musicians, and a charitable auction. Rosewood Little Dix Bay features seven courts (three artificial grass, four hard), with two lit for night play. 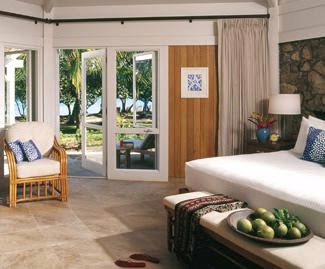 The $4,350 per person package includes four nights’ accommodations; three tennis clinics; two tennis mixers; two courtside seats to the Pro Tennis Exhibition; two guest invitations to the "End of the World" dinner party and auction; breakfast, lunch and dinner served at resort restaurants; beverages, cocktails and house wine; roundtrip transfers from Tortola or Virgin Gorda Airport; plus taxes and a resort fee.